Looking for catering ideas for your next event? Your search ends here. Below are some event catering ideas to help you organise your next function. Whether it is an executive meeting or training conference, these ideas can help you pull together a great event. Let us know what you think or share with us your catering ideas! Why not have DIY food stations in your event? For example, you can have a make-your-own burgers, noodle or dessert station. Your guests will surely love the experience of experimenting with food and creating their own culinary masterpieces. For a more simple take on a food station, you can offer your guests a make-your-own sandwich and wrap buffet. Just have a selection of fresh ingredients, a choice of condiments and a variety of breads and guests can make lunch the way they like it! You can serve delicious food and take care of your guests’ health at the same time. 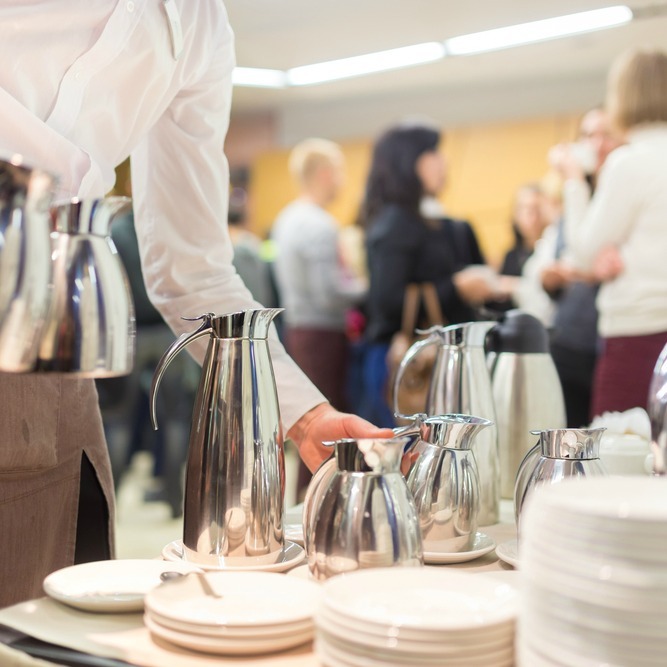 Set your event apart by serving healthy food and beverages. Everything must be fresh and as close to their natural state as possible. Offer plenty of vegetarian and vegan options too. Get ideas from your location. If you’re having an event by the beach, then serve beach-friendly food. When you get ideas from your location, you can give your guests a complete experience. Sometimes it is all in the presentation. Even ordinary fare can be made exciting if presented in a creative manner. You may need to hire a professional for this one – consult a food stylist or someone who has experience working in food service and presentation. If you’d like help for your next event, let us know! We provide our catering across Brisbane!